What is Finger Gesture Launcher? 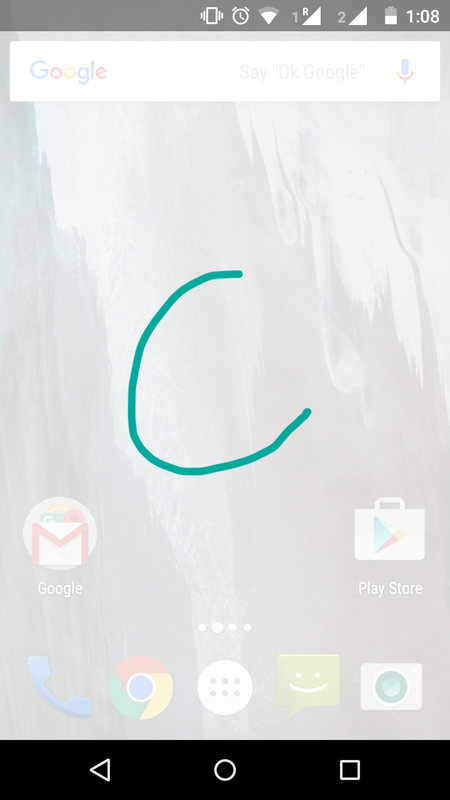 Finger Gesture Launcher allows users to launch applications by swiping over the screen. It claims to have multiple versions to support various devices. This review is for version 5.3.7 on Android 5.0.2. The app is very easy to launch and can be launched from anywhere. 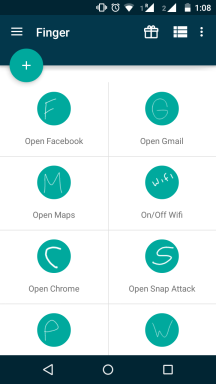 It uses the same ‘Swipe up’ to launch as Google Now in android 4.1+. A short testing shows good error tolerance for the swipe gestures. The in-app help material is simple and useful. It takes hardly 20 seconds to set up a gesture. However, being free, the ads may sometime hurt the user experience. During testing, full-screen ads came up repeatedly. This is a minor hiccup and may even go unnoticed by regular users of ad-based free apps. Along with launching of applications, this launcher also has a few interesting quirks that make it exciting. For instance, you can turn on/ turn off data settings (or rather any system setting) with a gesture. You can also directly get into WhatsApp chat page of your contact with a swipe. The application has a neat UI with minimalistic design. The transitions are smooth. The app is surely handy if you multitask a lot. For those who don’t, swiping once to open an app is easier than traditional options. Being a free app, it offers good value. You can download Finger Gesture Launcher app from Google Play store here.